Frankly, I love watching perverts in action. Let me clarify what I mean by love. While I am watching a film like Peeping Tom, an excellent work from 1960 by director Michael Powell, I'm not in my living room cheering on the troubled subject in the film, nor am I finding some sort of unsettling sexual satisfaction due to their actions. No, when I say love in this regard I simply mean that I am completely fascinated by character studies of this manner and the tone of such films typically works wonders for me. Despite my preconception to embrace such a film, absolutely nothing is guaranteed once the first frame appears on screen. Plenty of films have dabbled in the world of perversion and deviant sexual behavior, so it isn't some new subject matter that will automatically keep me invested. When it all comes together though, when cinema is willing to dive head first into the darkness and swim around with depraved, disturbed characters, those are the types of films that I mark on the calendar and count down the days until I have the opportunity to lay eyes on such a work. 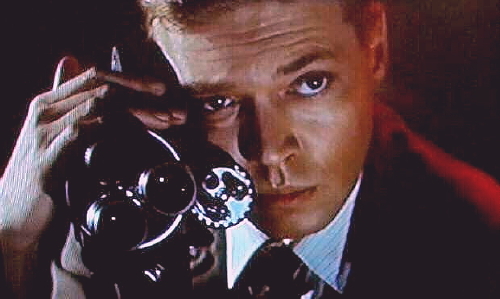 Peeping Tom is a wonderful example of how good it feels to explore the depths of evil. Right off the bat I knew I was going to admire the film when it kicks off from the perspective of looking through someones personal camera as it approaches an unsuspecting woman on the street. It is amazing how effective this technique is compared to simply filming a man approaching a woman in an ominous way, because the first thing I thought of was how delightfully wrong it all felt. Only a few minutes into a film and this voyeuristic approach had me feeling uncomfortable thanks to the enhanced realism, as if a work of fiction had been transformed into a documentary I shouldn't be watching. An even bigger credit to this aspect of the film is that it isn't any less jarring as the narrative progresses and the technique is used repeatedly. In fact, it becomes even more unsettling once we witness the initial murder first hand because after that moment, even if we seem to be watching something fun and innocent, through this lens it is dripping with danger. The casting of Karlheinz Bohm as the lead was an inspired choice. In fact it is downright perfect because his look alone fits the bill of exactly what scares me the most about the concept of a peeping tom. Bohm as Mark Lewis is just normal enough for him to blend in and even earn the trust of his peers, yet he also emits the absolute right amount of creepy to make you wonder about him in the back of your mind, even if for just a split second. We learn as the film progresses that while we technically can never be 100 percent sure of whether he was born with a level of evil lurking inside his soul, it is clear that the very unhealthy and downright off-putting relationship with his father is what brought his perversions to the surface. Through various psychological experiments conducted to study fear and the nervous system, along with the observation that his old man embraced his desire to film moments worthy of privacy, Mark Lewis became the man he is today, a man that I hope to never encounter, a character realistic enough for me to realize I unfortunately just might. 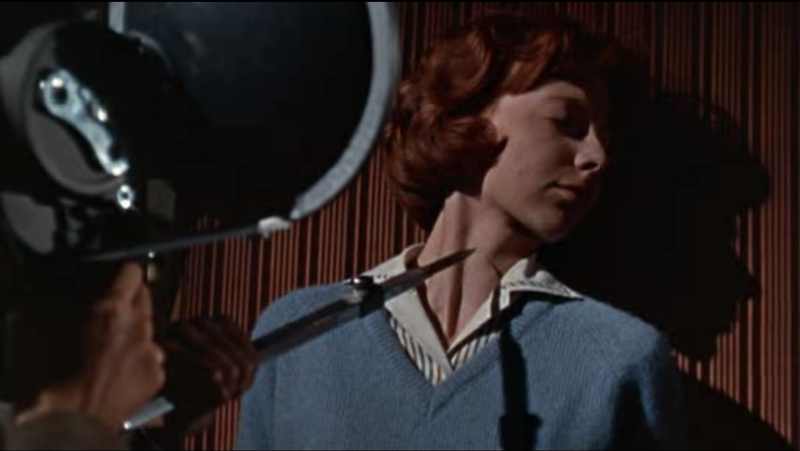 Peeping Tom was released 55 years ago, and it seems to be a work that was ahead of its time. 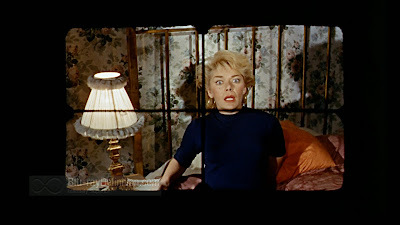 Released during an era where such topics were controversial, the film was initially trashed by critics and the career of director Michael Powell went off the rails as a result. Seeing it now, I admire the fact that what was crafted so long ago isn't even remotely dated, playing even more relevant today as we are still attempting to understand the intricacies and terrifying realities of mental illness and sexually charged crimes. A great film that deserves the credit it finally earned over time.